With gilt. 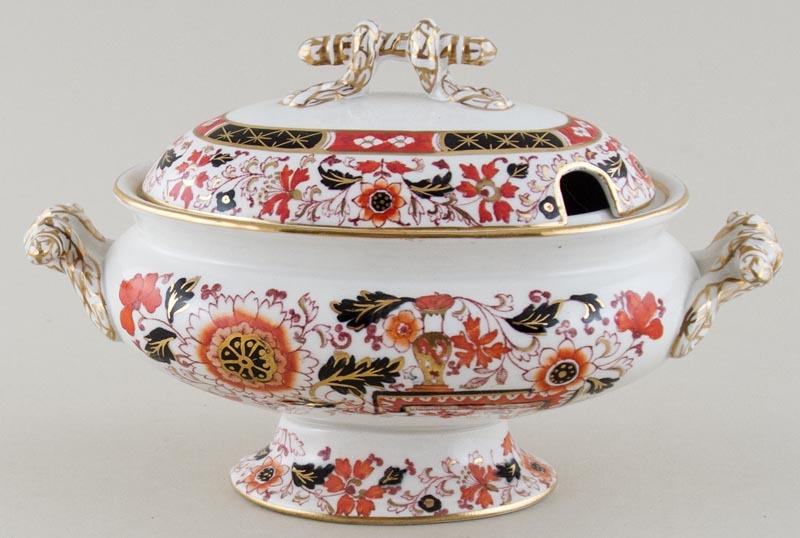 A fabulous small tureen, the cover having a ladle cut out and superb ornate side handles and handle to the cover. As seen on the Beasts table in the latest Beauty and The Beast Film! Backstamp: In script B3360. Underneath the rim of the cover there is a little discolouration otherwise excellent condition.